Anyway, my friend drew this for me. 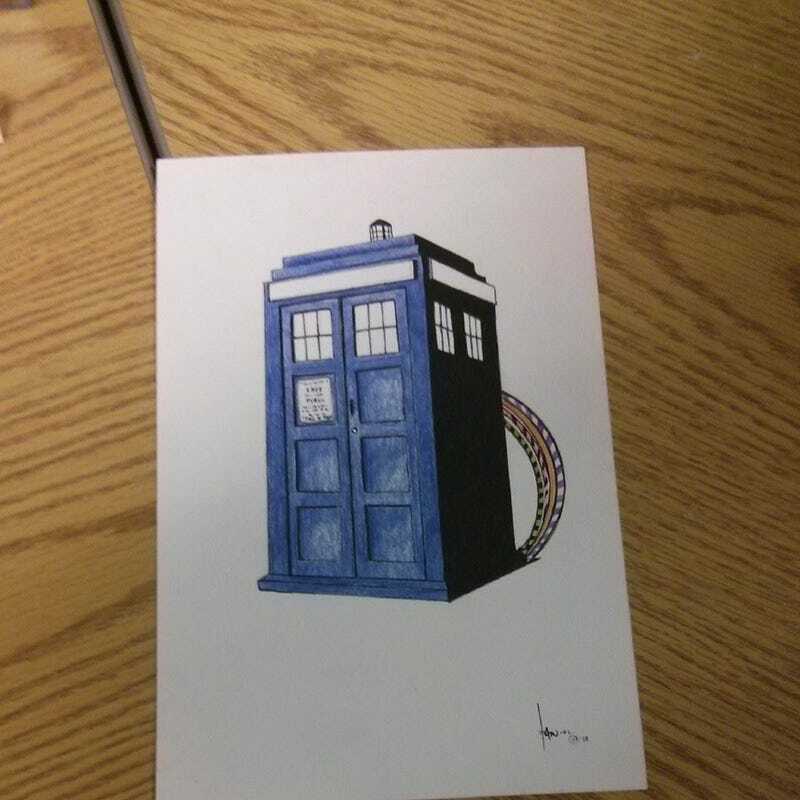 It encapsulates my love of doctor who and hula hooping and I was super touched. Another friend gave me a dalek pencil. They are truly fabulous people.